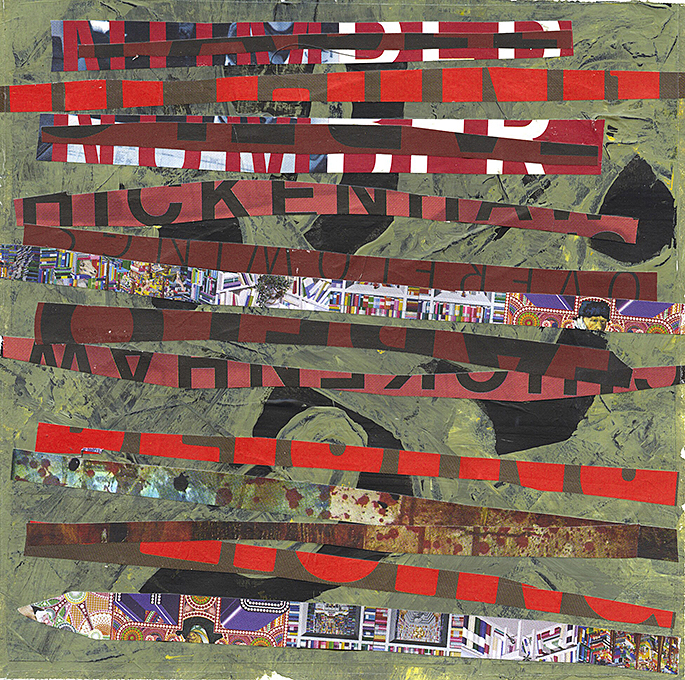 I planned to write about an art project I designed for an adult collage class I teach at the Pelham Art Center, Pelham, NY, working with pasted papers painted in bright, primary colors. Not exactly 4th of July Red White and Blue – but Red,White, Blue and Yellow (and black). I will write about the project in my next post. The image that inspired the project was a mobile by Alexander Calder. The image below is by Carol (a teaser for the next post). I always say challenge is good for you (and me). Godin says we are afraid of challenges because we fear the possibility of the outcomes. Read what he wrote here. 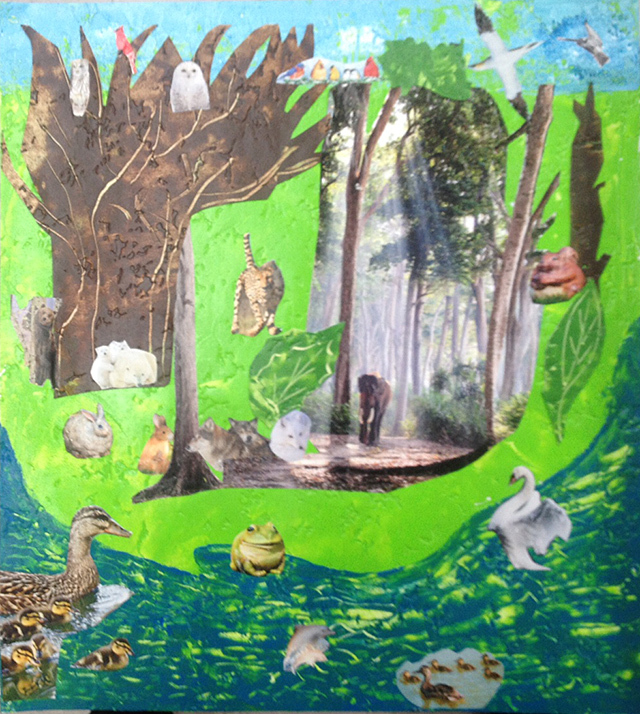 I design collage art projects that give students a challenge. 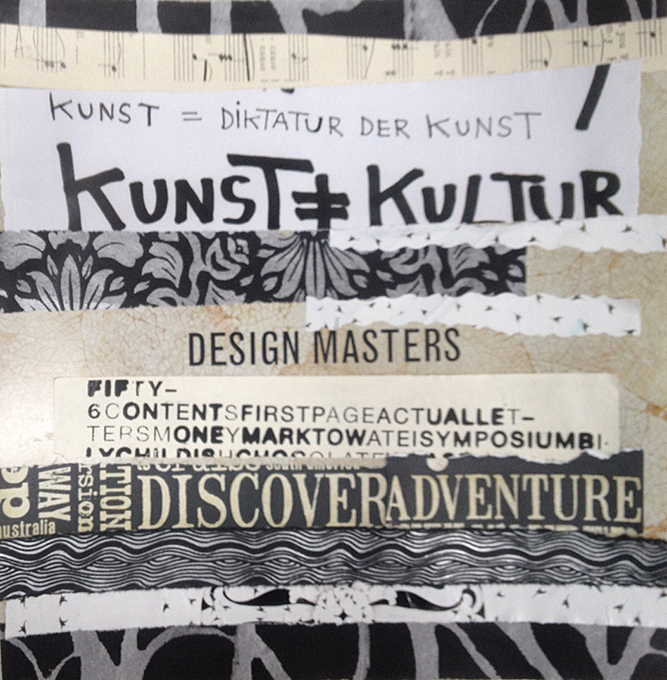 Last Monday they made amazing multi-layer collages in a 2-hour session. 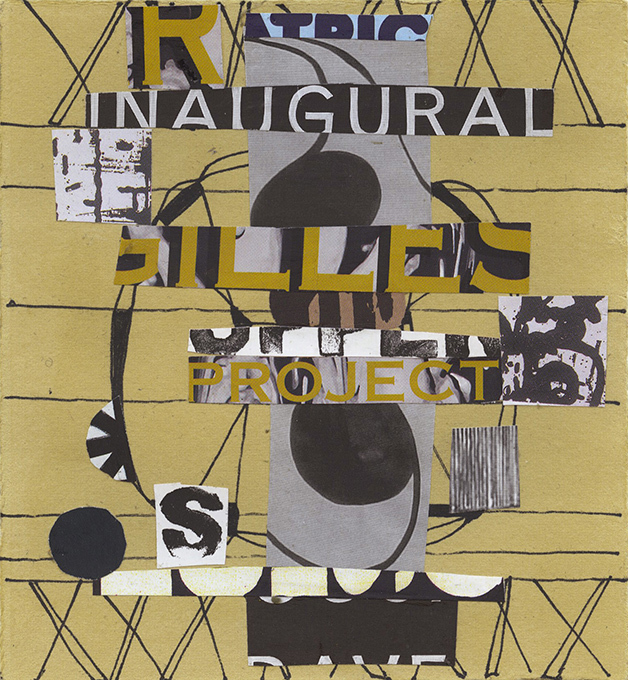 The first layer had to include strips of cut and pasted black and white magazine text in a pleasing design. They had to select the text. I brought a sample collage where the entire background was text that didn’t line up in horizontal rows. The class spent about half the time on the first layer, and organizing magazine text became its own design challenge. The second step was to create an over layer with papers in primary colors cut in unique shapes. I provided the red, yellow, blue and black painted papers and did a quick demo on ways to place shapes over the text. I showed them overlapping shapes, shapes spread out, and shapes clustered together in different arrangements. Collage is always about layers and juxtaposing images (and shapes). The class rose to the challenge and I knew they would. Kids in elementary school can do this project, time permitting. Kids love a challenge and everyone loves primary colors. Here’s more from Seth Godin’s post. He concludes with: “We owe everyone around us not just the strongest foundation we can afford to offer, but also the optimism that they can reach a little higher. I share his post because when you stretch boundaries, you grow, gain confidence, and you feel good that you took the chance and reached the goal. What is your goal? Whatever it is, make it creative. Make it good. What can you do with Collage? 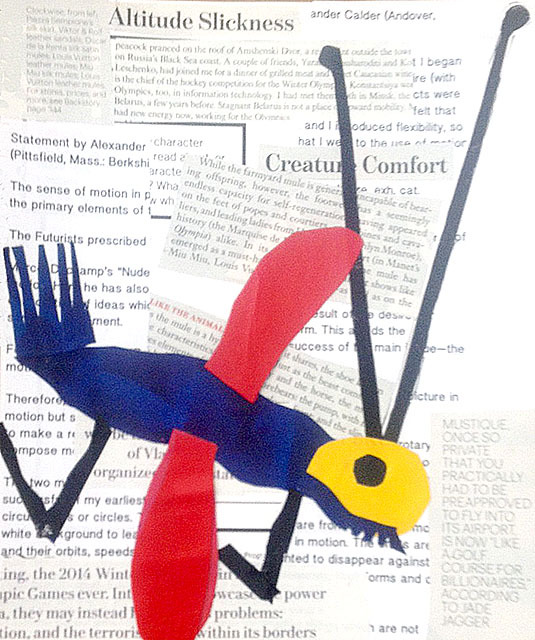 Two weeks ago at the Pelham Art Center, I talked about collage projects during the fall term. Many of the projects included recycling and repurposing papers. 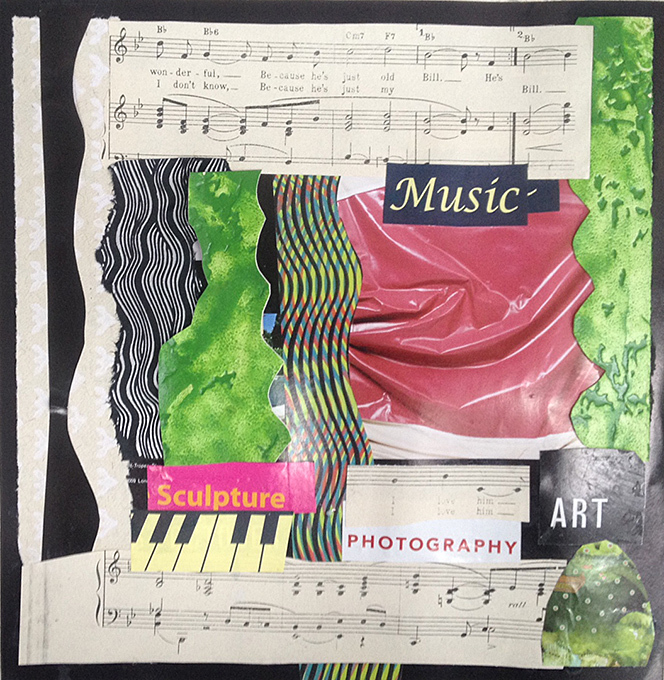 The class is titled Embellish An Image – Play With Collage. Almost every class project I teach involves working with paper. We also work with found media and fabric. Everyone likes the idea of recycling junk mail, catalogs, magazines and cards. We say – don’t throw anything out because you can find a way to use it. I stress 3Rs: Recycle, Renew, Repurpose. 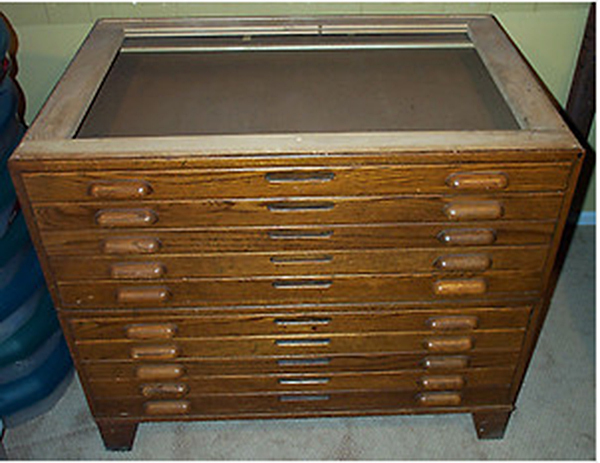 If you doodle, do drawings, paintings, or prints, you can use the drawing, painting or print in your collage, either as the base for the collage (it’s the substrate) or as collage papers on top. It’s easy to start a collage when you build on top of something else. 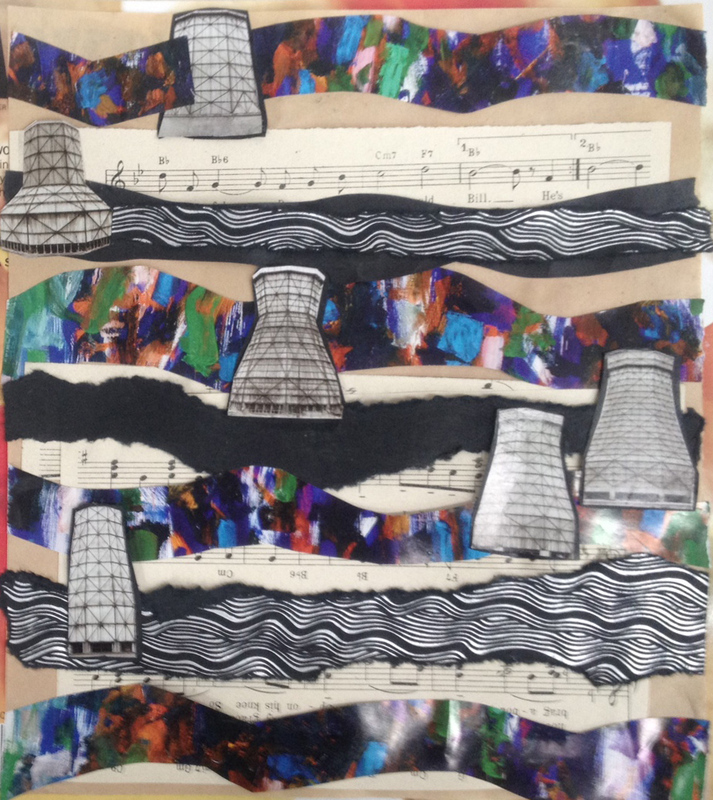 The image below is my collage with pen and ink drawing in a series titled Strata. It’s on 8×8 inch paper. I made 16 different drawings and added collage to each one. I showed the images to my class and explained that strata is about horizontal layers. In this case the layers are a drawing and papers on top. See more images at my website. 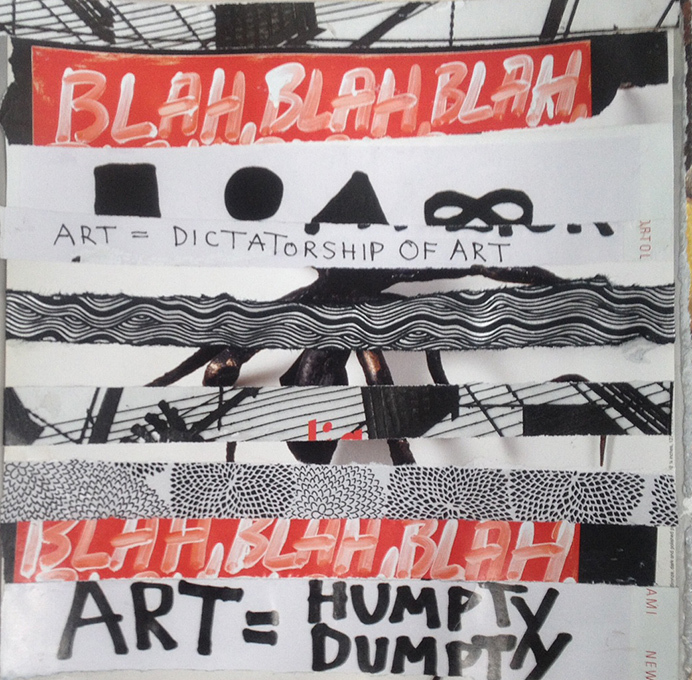 I like to combine drawing with collage and I encourage students to add drawing. A hand-drawn element makes the collage personal. Anyone can do drawing. Doodling is drawing. If you think you can’t draw, try tracing. Gather images and papers you like as inspiration. Do a copy of the image. You can start with a tracing on vellum paper. Draw with pencil, pen and ink, crayon and pastel onto small pieces of paper. Add your drawing to your collage.. 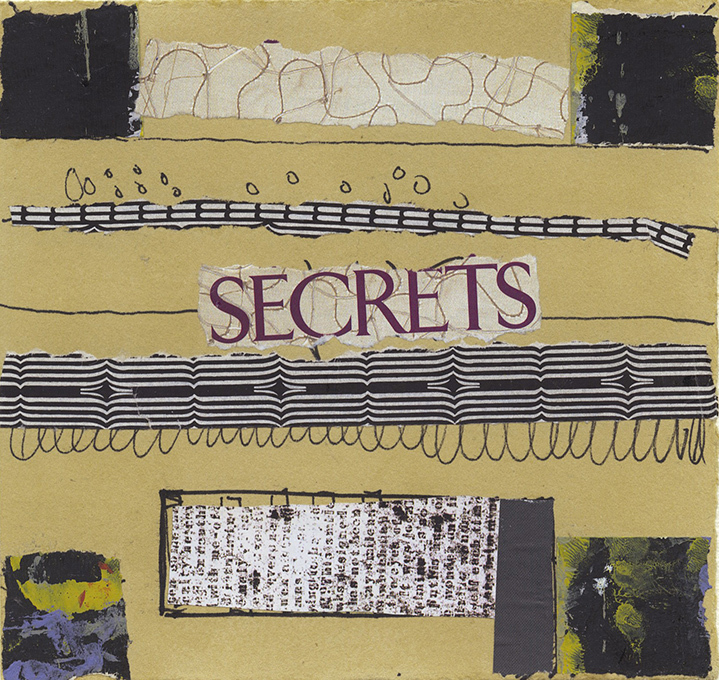 If you create your own greeting cards, you can use the cards as a base for a collage series. If you don’t want to cut up the originals cards, take a digital photo or photocopy them if they are small. Make multiples and use the copies for collage media. If you create a wonderful collage, don’t cut it up. Make multiple copies and use the copies as a base for more collage or as collage media. We used wallpaper from a donated book in a recent project. The paper was oversized, strong, and free. Some of the wallpaper was patterned and textured. 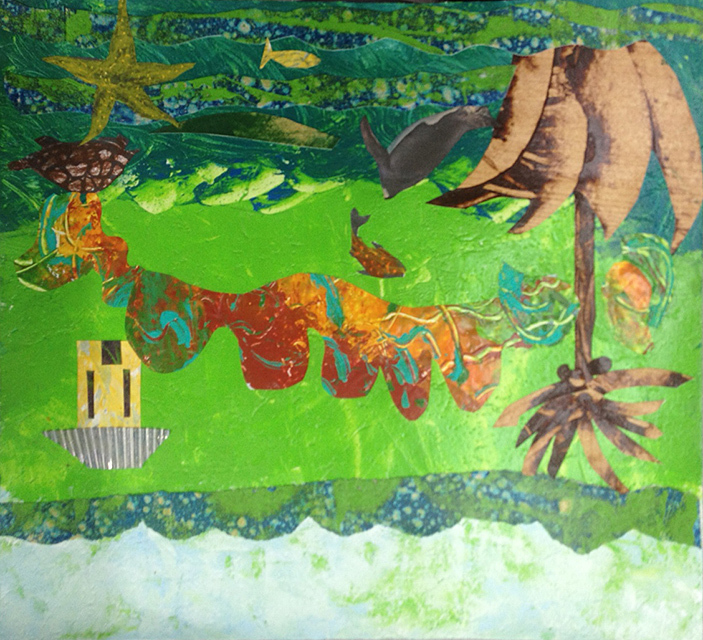 Each person painted a page with blue and green acrylic and created a background for a landscape collage that included an island surrounded by water and sky. 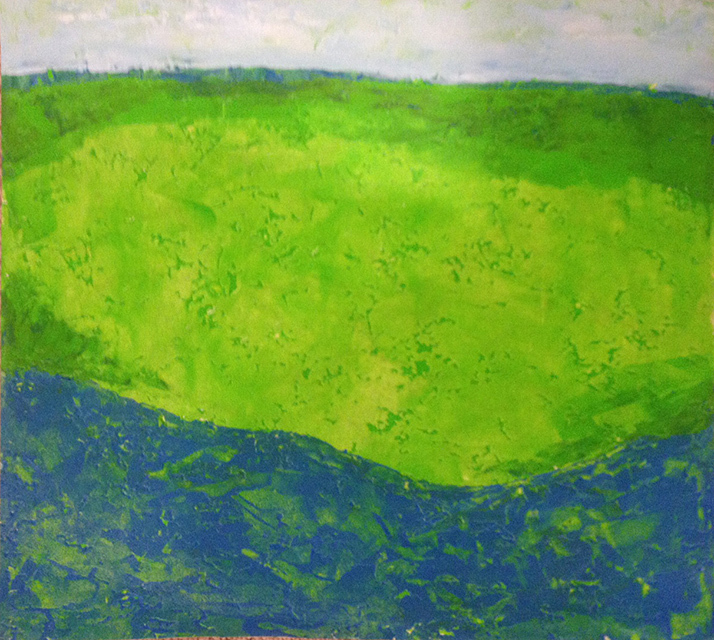 Each person worked with a palette knife and used 2 greens, and mixed blue and white. The painted wallpaper became the substrate (the bottom layer). Some students added gloss acrylic medium to the paint. It made the paint more transparent and gave the colors depth in layers. 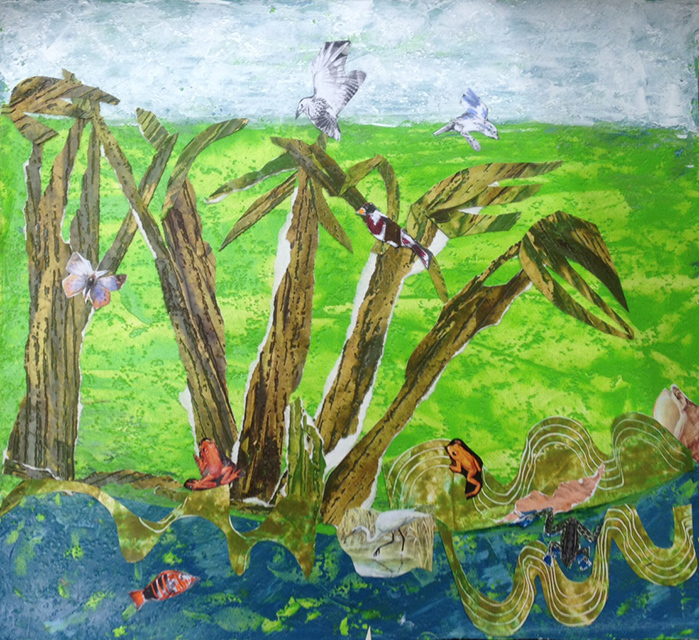 After the painted wallpaper substrate was dry, students added various collage papers. The image below is by Marlene Furtick. She added magazine papers and papers she painted in a previous class. 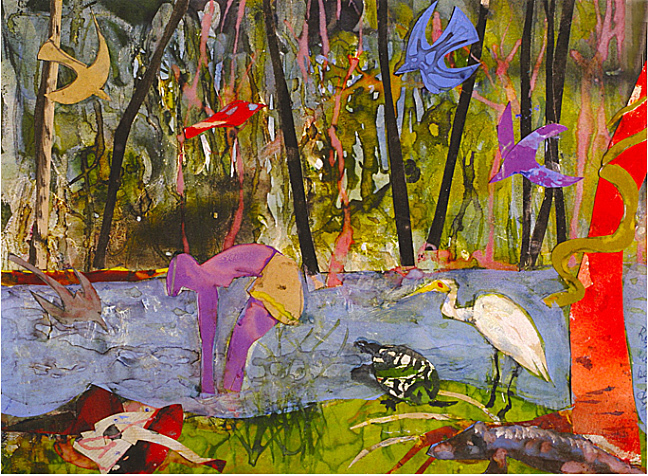 Many collage artists use heavyweight watercolor paper or museum board as a substrate. It’s expensive. Sometimes the paper warps or buckles because of the water in glue or in paint. Wallpaper is a good substrate because it is typically coated and will not absorb water and will not warp or buckle. 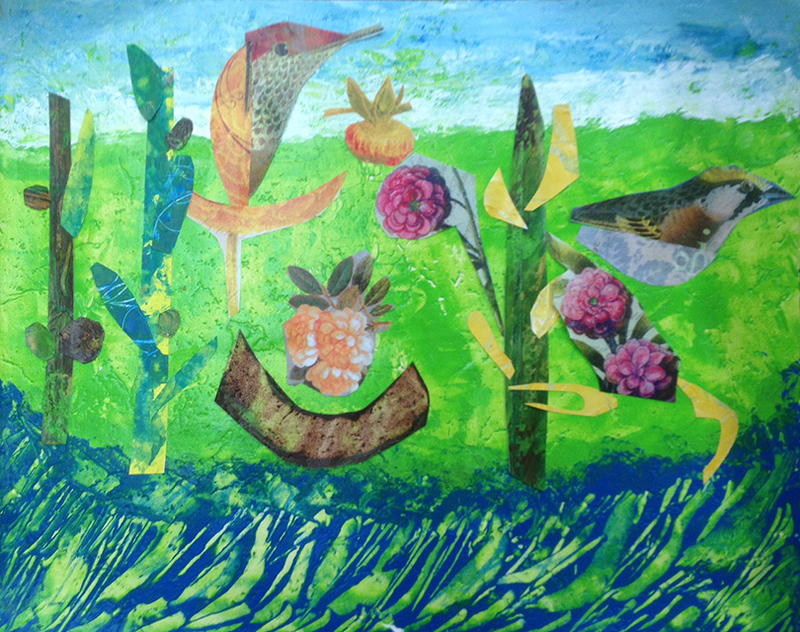 Painting papers is a way to create collage media. You can paint on magazine pages, scrap paper, fabric, newspaper and wallpaper You can photocopy or scan and print the painted papers and create multiples. You can also use the original painted papers as a substrate. I always encourage students to create a painted substrate. It’s a great way to begin a collage. For another class project, we worked with medium weight scrap paper that was plain white, and painted it with gouache (opaque watercolor). Students used a 1 inch wide soft straight-edge (bright) brush and worked with diluted paint applied as a single color. Students painted more than one color on separate papers. 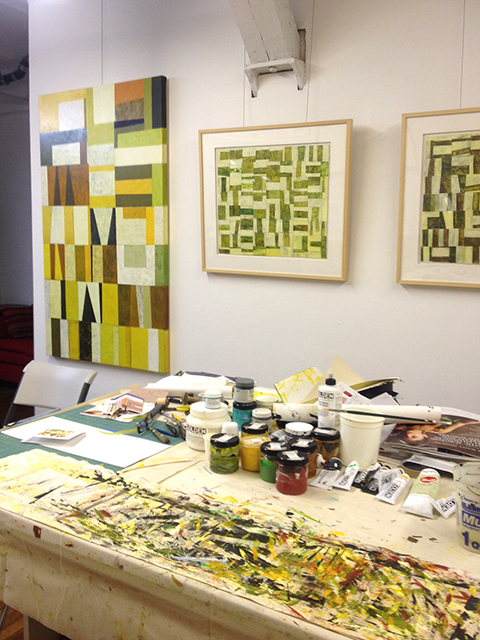 The image below is by Joyce Dutka, and shows the worktable and oil pastels nearby. The papers are painted with gouache. Joyce cut her papers into shapes and embellished the papers with oil pastels. The project was inspired by the artist Henri Matisse, who worked in collage at the end of his career. Matisse called his collages paper cutouts. 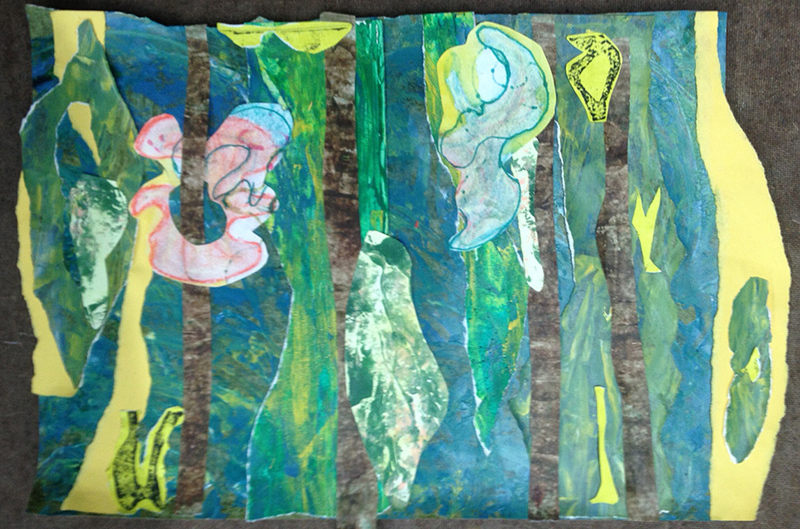 We used fabric for collage in a recent class. The fabric was donated. Students cut up the fabric and glued it down onto canvas I supplied. We worked with carpenter’s wood glue because it is heavier than white PVA glue. Carol Frank created the image below. It’s upholstery fabric and paper on natural unprimed canvas. The project is called Strata. Carol placed the horizontal strips so some edges were under and some edges were over others. Explore black and white and red. Find magazine images and newspaper text. Play with shapes and line. Cut words into strips. Turn them upside down and on edge. 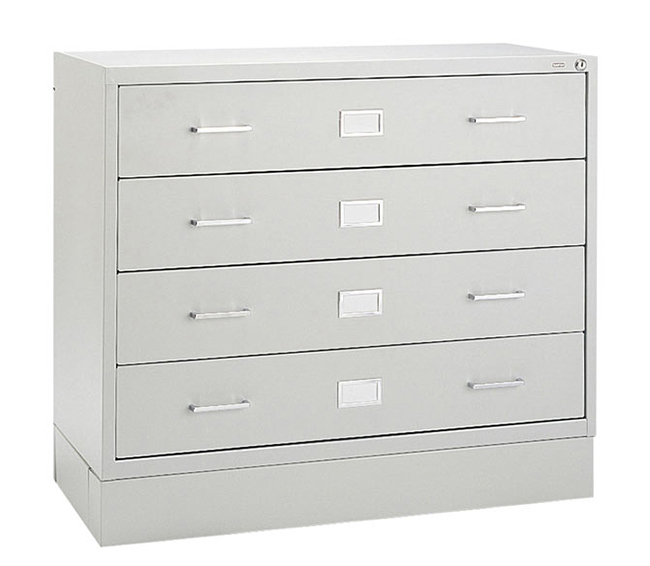 Find a large magazine image you like and glue it down on Bristol or another heavy paper. Select an image that is big enough to cover the paper substrate. Add collage elements all over to create something that looks new and different. Explore a grid design. Cut up 6, 9 or 16 small blocks of medium weight paper. 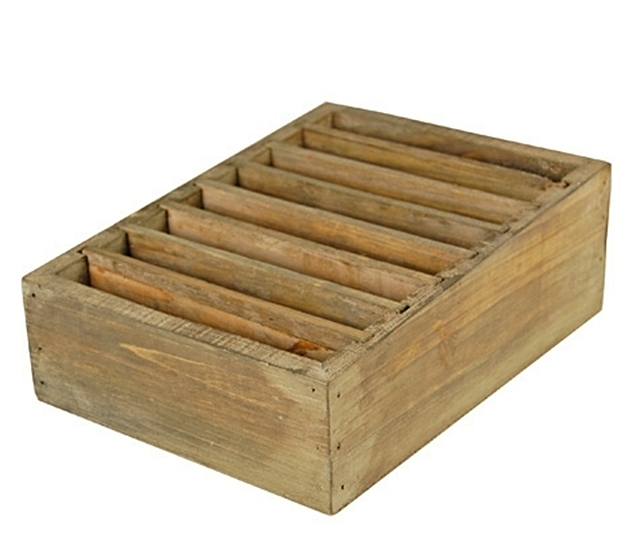 The blocks can be 2×2, 3×3 or 4×4 inches. Add drawing or collage to each block. 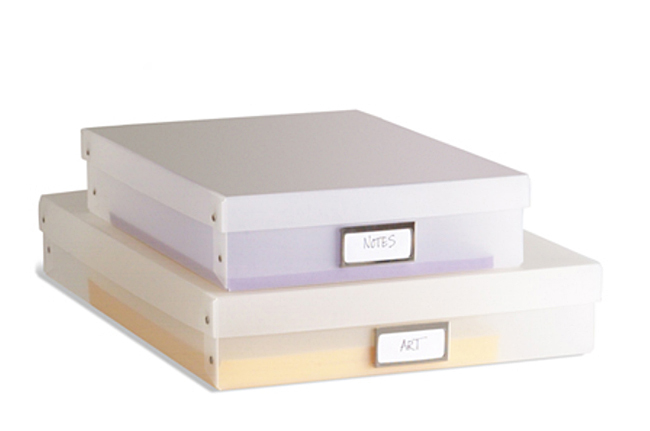 Organize and glue the blocks on a heavy Bristol or watercolor substrate. When you rotate the blocks as you place them, you get different patterns. Play with layers. Work with thin paper over thicker papers. Let the edges peep through. Cut and open out top layers to reveal layers beneath. Cut out text from books and magazines. Draw or write on cut papers. Glue Japanese washi papers on top to reveal line and text underneath. Play with colors and tone. Work with a selected palette of collage papers that you create, collect or purchase. Choose colors that show contrast in color saturation (pale to bright) and in value (dark to light). Play with edges. 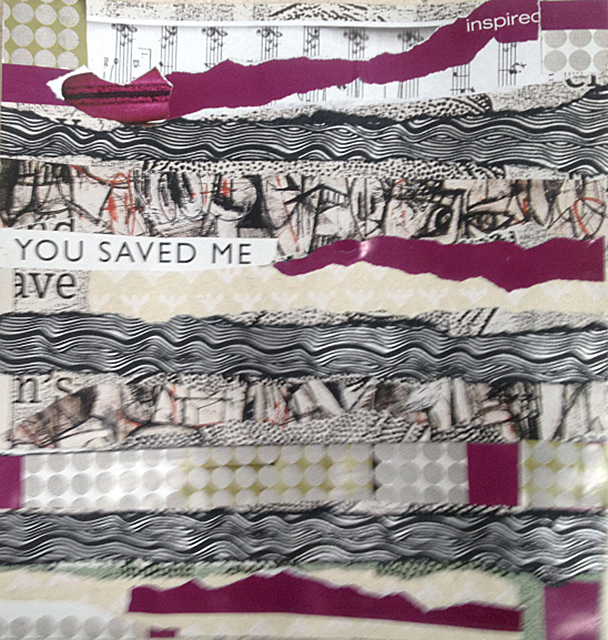 Cut and tear collage papers. Overlayer so edges peek through. Cut papers into curved shapes. Glue papers to create rhythm and pattern. Explore examples of art by artists you admire. Copy (interpret) a painting, but do it in collage. Interpret the style of 2 artists. Do a collage that includes elements of both. I will teach 10 classes on Monday evenings (7-9) at Pelham, starting in January 2013. Contact me if you want to join the class. Thank you for your comments. Please take the survey nearby and tell me what you like.